Facebook chief Mark Zuckerberg's testimony before the joint senate panel on April 10th must have left him feeling pretty good. He was grilled for hours, and he presented a suitably contrite face. But he did not yield on anything major. Does he want his own data to be shared in public? Nope. Does he think the government should regulate Facebook? Nope. Will Facebook change the way it seeks to use data and take permission each time? No. And does Facebook intend to implement GDPR (Europe's General Data Protection Regulations) style privacy protection for the rest of the world? Definitely not, unless he is forced to by individual governments. In essence, Zuckerberg wore a suit, he apologized for lapses, but he doesn't want to change anything about the way Facebook collects data, tracks its users, and stores data unless he is forced by law and government authorities to do so. There were a few significant issues that did not get discussed much during the hearings, probably because at least some of it was beyond the ambit of the Senate committee discussion. One was, why does Facebook need to continuously increase the data it captures from its users. Number two, even if Facebook promised that it will be more careful about sharing the data it captures with companies like Cambridge Analytica in future, it is not making any promise that it will not use the data itself for all sorts of purposes still to be defined, or that it reserves the right to profile its users in the creepiest sort of manner, or that it even offers a choice to users - you get to safeguard your profiling provided you pay for the services, and don't take it for free. That part is simply not going to be its business model - or that of any of the other tech companies that are gathering your data, from Google to Amazon. When the Cambridge Analytica scandal hit the front pages, and it was revealed that the data included that of a number of Indian users, Union Minister for Electronics and IT, Ravi Shankar Prasad said that India would summon and put Facebook (or Zuckerberg) on the dock if necessary. Since then, much data has passed under the bridge but the need to fix India's data and privacy laws has taken a back seat. 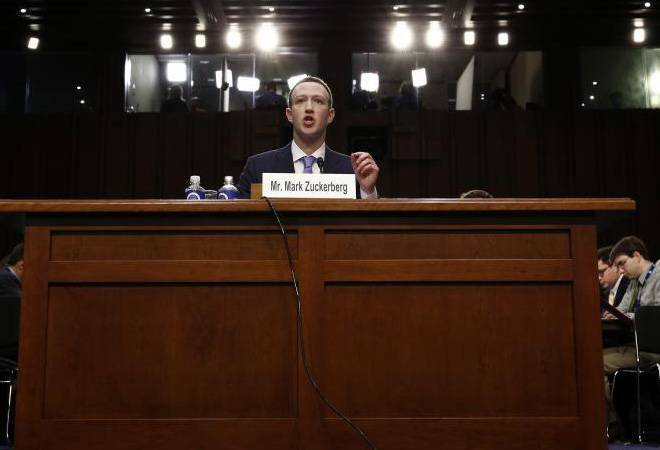 The country cannot take the kind of laidback approach that it has been taking about data capture by everyone from global giants like Facebook and Amazon and Google to Indian apps like Paytm and the others without serious consequences. It is time to set up a task force for a new set of data privacy law for the country, and have strict deadlines for it.